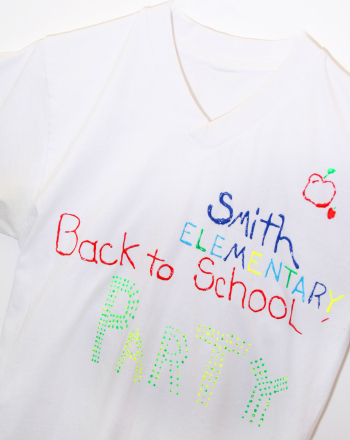 Create a Back to School Time Capsule! The tradition of creating a time capsule is an old one, but the activity never loses its appeal. Gathering artifacts for a time capsule is a significant activity: when your child places items in her time capsule before the first day of school, she is able to reflect on the summer, the previous school year, and what she has learned and experienced, all the while anticipating what the next school year will be like. In this process, she will not only preserve belongings of intangible value in the time capsule, but will be able to sift through the capsule’s contents in the future -- at the end of the school year, perhaps -- and reflect on what really happened and how she has changed and grown. 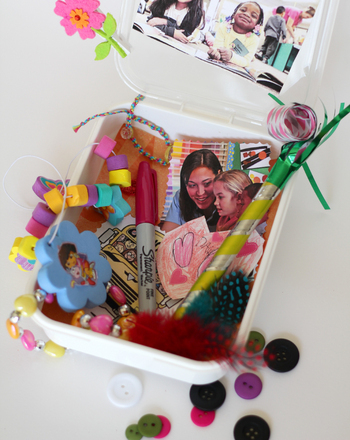 Here's an activity that will help your child create a back-to-school time capsule to freeze a moment in time! Place an assortment of objects into the time capsule that represents the “current moment” in different ways. You can use: photos of friends and family from a summer trip, a well-written essay from last year's English class, homework that your child is proud of, postcards of cities that your family has visited, drawings, journal pages, movie stubs, concert or amusement park tickets, or vacation souvenirs, for example. Remind your child that these items cannot be retrieved for however long they are inside the time capsule. Be certain to include artifacts that clearly show the time period the capsule was created, such as newspaper clippings of the year’s major events (Barack Obama’s presidential inauguration, for instance), magazine articles that your child enjoyed reading, flyers of summer festivals or events she attended, or birthday party invitations from classmates. Have your child write a letter to her future self. She can say anything she wants, but should include her reason for creating a time capsule, and why she has chosen to include these objects for her to discover again. Seal the letter in an envelope, and place it atop the pile of artifacts. Ask your child when she thinks she would like to revisit the time capsule. Discuss how opening it at the end of the school year would be much different than waiting several years or more. Ultimately, the decision rests with her. Mark the container with an exact date—September 1, 2010, or January 1, 2015, for example—and have your child sign her name on the time capsule itself. Find the best place in your household to store and preserve the time capsule. Dig a hole in the backyard where it can be left untouched, or place it somewhere deep in the attic, basement, or garage. Alternatively, you can keep it in a location other than your house; just make sure it will be secure. Voila! Your child has created a time capsule of her life thus far. Now just keep it safe until it's time to unearth it one, five, or even ten years later! 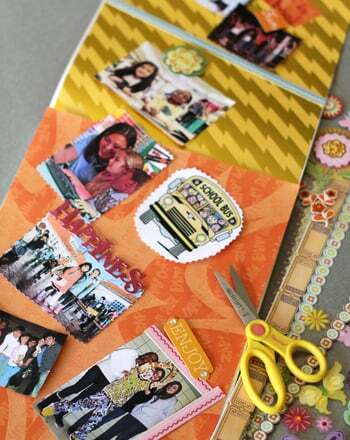 Here's an arts and crafts activity to help your child put together his own "Back to School" scrapbook. It's that time of the year again! Celebrate the start of a new school year with a back to class bash, complete with arts and crafts, food and games. Got the back-to-school-blues? Try this scavenger hunt to make that first day of school a little more exciting. Afraid of catching a bad case of cooties? Never fear, back to school can be fun and cootie free with this awesome do-it-yourself cootie catcher. Back-to-back breathing is a great way to practise self-calming while also creating connection and developing trust. Ring in the new school year with a fun word scramble, full of school-related words! Your student will build spelling skills as he goes. Instead of tossing old school supplies, turn them into a work of art and teach your kids how to find new uses for old things. 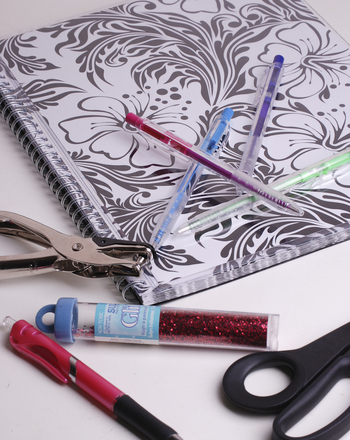 Give your child a fun time capsule exercise with this journal prompt. 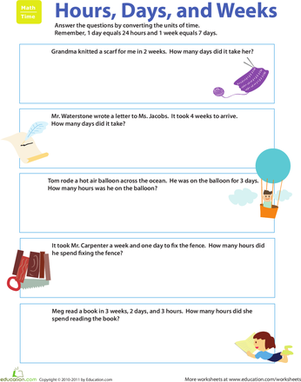 Boost your child's time sense with a lesson in time conversion. This word problem worksheet challenges him to convert a unit of time to hours, days, or weeks.